We were so busy hugging and smooching yesterday we almost forgot it was also SQUIRREL APPRECIATION DAY! 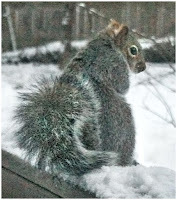 A trip to the deck slider to watch the happy birds feasting in Carol's restaurant yielded some different creatures yesterday whose strange habits of twitching their tail delectably were a sight to behold. We were a little afraid at first but our human told us there was nothing to worry about, squirrels have to have dinner too, so we relaxed and enjoyed the show! 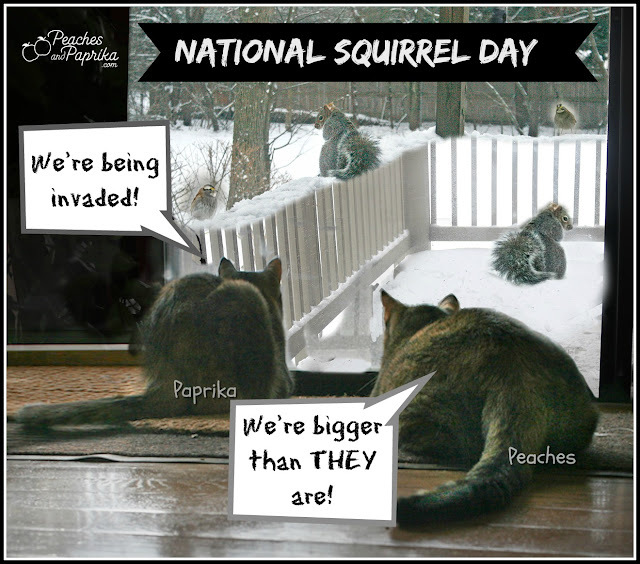 You can read all about Squirrel Appreciation Day here! You have good TV there! Squirrels didn't dare come into the garden when Eric and Flynn were here. They used to creep up from two different directions. They only rarely caught them though because they ran up the trees, but then cheated by jumping from branch to branch. I go nuts watching skwerrils! Our Little Bit was fascinated with squirrels. She knew every tree where squirrels hung out and she was right there. I would have love to watch your babies appreciate the show. No squirrels visiting the 4th floor. MOL! WOW! 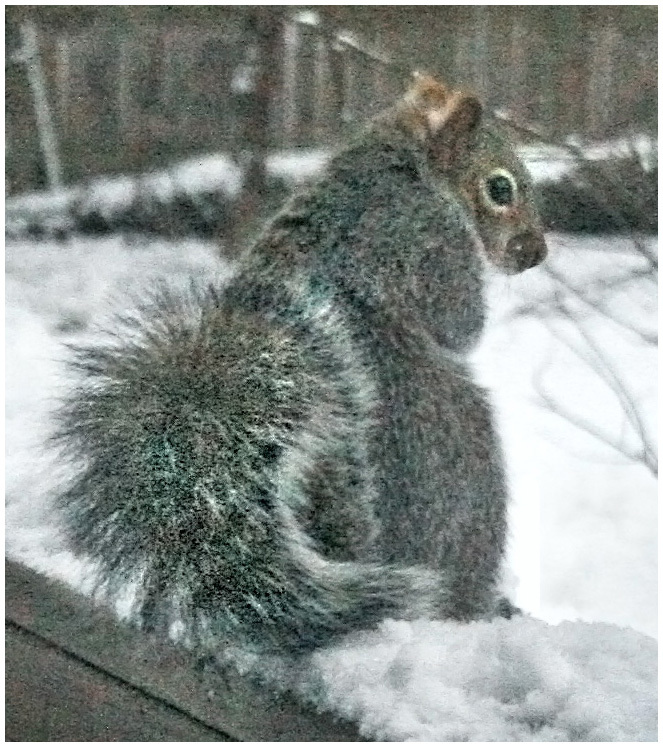 That's a ton of squirrels fur sure! Sorry I'm late, I couldn't get your blog to open until today. We had a problem briefly, thank goodness it got resolved promptly!